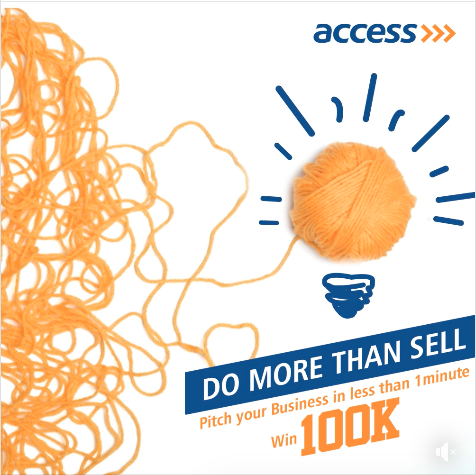 Win N100,000 in #TheAccessPitch, Sponsored by Access Bank. We are excited to introduce #TheAccessPitch, from Access Bank, strictly for start-ups. So, do you run a business with an engaging presence on social media? 1. Do a one-minute video, telling us why your business is unique. 2. Follow @myaccessbank on Twitter and Facebook, share this post, and tag 5 of your friends to follow our pages. 3. Use the hashtag #TheAccessPitch when posting. 4. Winner will be announced at the end of the month, and will win the prize sum of N100,000. Contest Ends on 31st October, 2018.